Time is what adds beauty and uniqueness to long-lasting relationships. 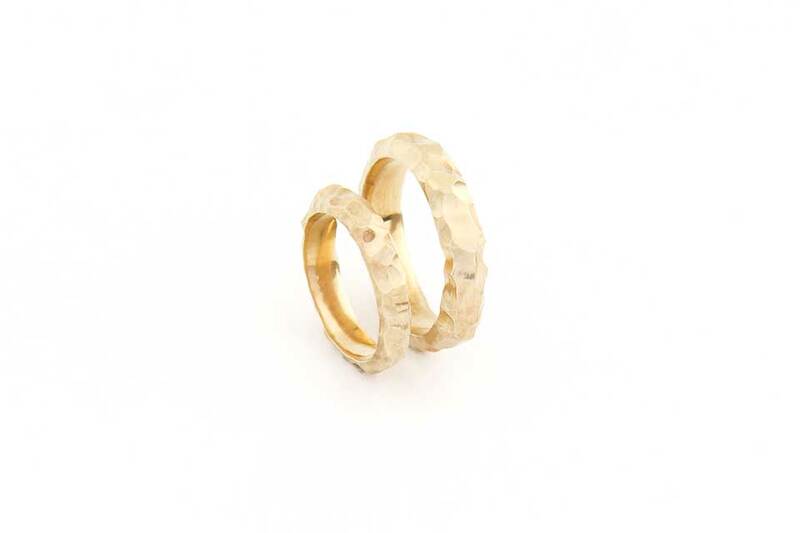 In the same way these unevenly hand carved “imprints of time” add beauty and uniqueness to these rings. ‘Despite the Times’ are non-traditional wedding rings designed to be used for a lifetime. 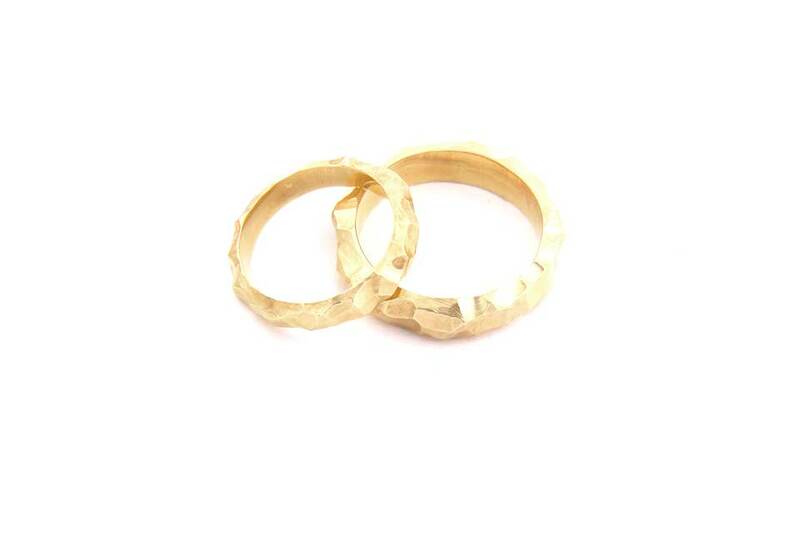 Hand carved, lost wax casted in 18k yellow gold, each ring is unique and no two are alike. 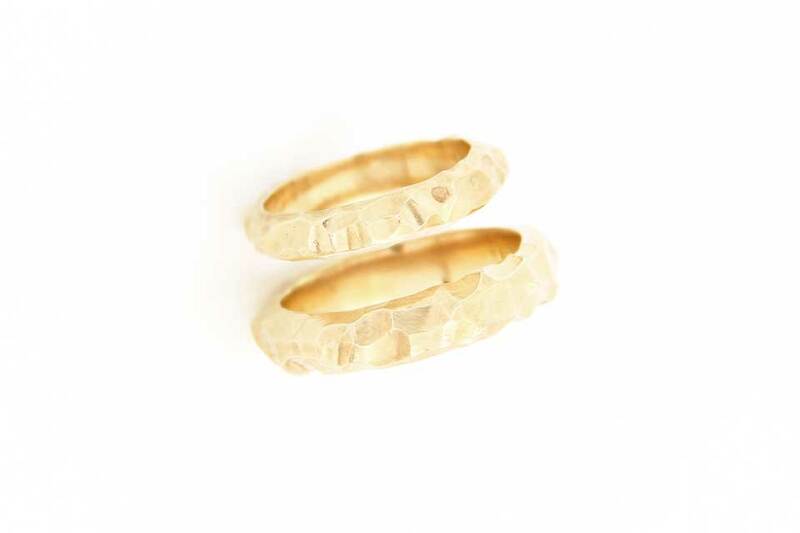 Time is what adds beauty and uniqueness to long-lasting relationships, In the same way these unevenly hand carved “imprints of time” add beauty and uniqueness to these rings. ‘Despite the Times’ are non-traditional wedding rings designed to be used for a lifetime.